Paul Pritt of Sissonville, WV collects his winnings. 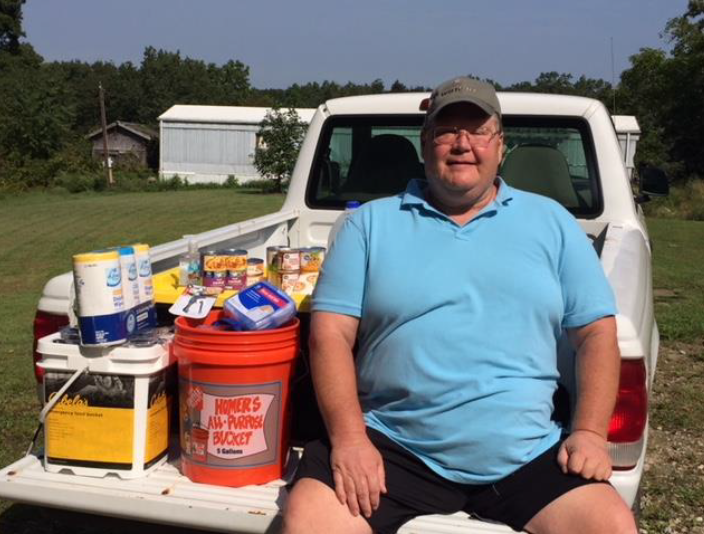 Paul was the second winner in our National Preparedness Month giveaway. Thanks to Cabela’s, Home Depot, and Kroger for those donations. YOU could be next week’s winner. Watch for us on WCHS TV8 next week for your chance.